Hello and a warm welcome to the BUK support group. 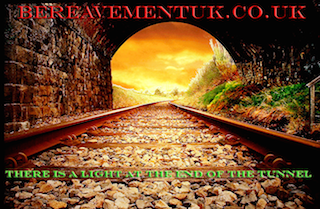 We have been going now for over 18 years and in that time many thousands of bereaved people have been through the site and for many it became a lifeline they relied on to get them through the most horrendous pain of loosing a loved one. I so hope that the fact you are here now for that very reason, we can do the same for you and bring you from the pain and suffering you feel right now, back to some kind of life that has a peace and a purpose to carry on once more. Because the old forum become so large which was a little overwhelming at first for some, I started this new board that I want to keep very simple to encourage more people to use it and keep it warm and cosy and very easy to use. Re: Welcome to this group. Re: Welcome to this group, PLEASE READ THIS FIRST!. As a little tip when posting you'll find if you click on one of the little smilies or emoticons above a code will appear on your post like this ;hearts: You have to make sure their is a space either side of it, or it will not work and instead of looking like this it will look like this :hearts:and that's not what you wanted.